Offering an engineering perspective and the latest information on the application of this rapidly expanding technique, this practical book covers the technology, engineering, materials and products, as well as economic and ecological aspects. In addition to the theory, it also utilizes case studies that can easily be put into industrial practice. Invaluable reading for food chemists and technologists, process engineers, chemists in industry, agricultural scientists, and chemical engineers. 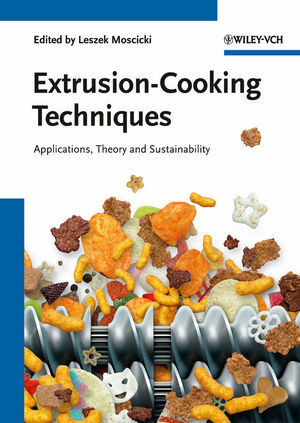 An industrial expert in food and feed sectors and a pioneer of extrusion cooking, Leszek Moscicki is head of the Department of Food Process Engineering, Lublin University of Life Sciences, Poland. After completing his PhD at Lublin Agricultural University, he continued his research at Wageningen Agricultural University, the Netherlands. He has more than 150 scientific publications to his name, is a national delegate to the International Association of Cereal Science and Technology, a committee member of the Polish Academy of Science as well as several other Polish scientific and professional associations, and has coordinated several EU projects on HTST processing of vegetable raw materials.